Rocklopedia! 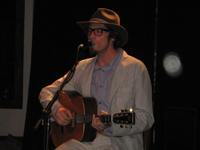 was fortunate to be at a recent Ben Taylor (along with excellent guitarist David Saw) concert. 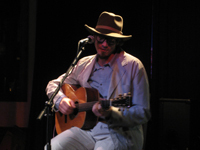 While on stage, it was obvious that James Taylor and Carly Simon had passed their musical genes down to him. 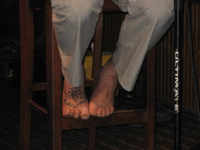 His relaxed stage presence (barefoot) while he played the guitar and sang kept the crowd’s undivided attention. Taylor produced an intimate evening of folksy, mellow music that reminded us of James Taylor (was it because we knew he was James Taylor’s son?) but was original and his alone. 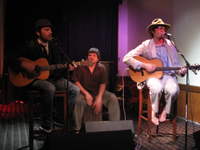 We went to see the son of James Taylor and Carly Simon. 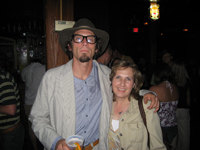 We left as fans of Ben Taylor.